A special promotion on surplus stock of PS21-7 pressure sensitive label dispensers! 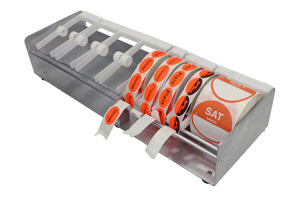 Label dispensers are able to fit seven (7) rolls of 3 inch wide labels; can also be arranged to fit other sized rolls when you purchase 1/2" spacers and/or additional fingers. 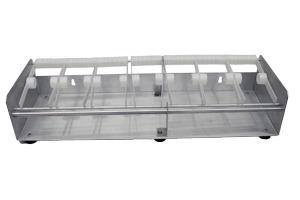 Dispensers are made with sturdy rubber feet and have screw hole mounts. View in the Parts Store. 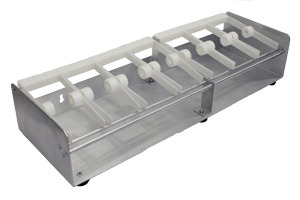 Check out our label dispensers for more information or contact us!